Depending on what types of crystals are used, different frequencies are achieved. For building on an awareness of dreams, one can use labradorite. For example, labradorite will provide more astral awareness in dreams due to it being Feldspar. 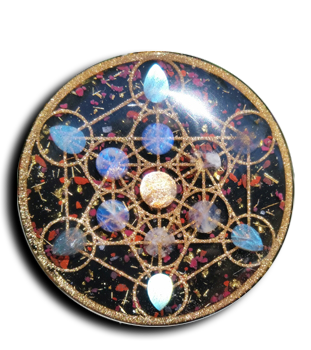 It is an exquisite example of a stone that can change the color of light, just like our pineal glands change astral light into something for us to “know,” lab opens us up to knowing more. Labradorite can bring on a shamanic mind state of looking at reality lucidly, like when dreaming. The Shaman sees true reality without the false belief structures of “society.” Labradorite is a shamanic stone in many ways. It aids in psychic protection. Lastly, labradorite also melts at near the same temperature of glass, which makes it a perfect combination for quartz (also Silicon Dioxide based like glass).